I recently watched a tragic documentary about men in China longing for wives but not being able to find a life partner. Why is this happening? According to 2016 statistics, China has 33.59 million more men than women, thanks to a culture that embraced a one-child policy and has a preference for male children. And this has led to an ugly byproduct: human trafficking. There simply aren’t enough women to match the number of men and some are responding to this by going to desperate measures and treating women as property, trafficking them as modern-day slaves, forcing them into relationships they do not want. There is no denying the understandable desire for an exclusive relationship with a life-long partner. As the example above demonstrates, however, a legitimate and good desire does not give a person license to fulfill the desire under any circumstance—enslavement (even by a “kind owner”) being an obvious example. The desire for children, like the desire for a spouse, is a natural and good desire too. That’s why it’s heartbreaking when someone, longing for a child, is faced with infertility. And honestly, the word “heartbreaking” doesn’t adequately capture the anguish such couples go through. Having friends and relatives who have suffered with this plight, there really aren’t words that capture this cross. Does the desire for children give a couple license to fulfill their longing under any circumstances? As the opening analogy demonstrates, a good desire cannot be fulfilled if the way to achieve it is immoral. For example, kidnapping a child would be an obvious example of an immoral means to achieve the end of parenthood. Less obvious, in some peoples’ minds, is the means of IVF to achieve the end of parenthood. 1) Each human being is equal in dignity to another; each individual is unrepeatable and irreplaceable. 2) A human’s dignity is inherent to her being, which means the moment she begins to exist is the moment she has dignity. 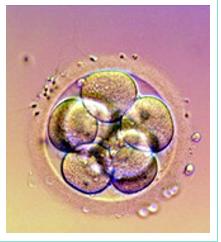 Science teaches that beings which reproduce sexually begin their lives at fertilization. Because this series is not about making that case, it is assumed that readers embrace this truth already, or that they will spend time reading the explanation for this point here, here, or here. 3) Because our dignity is grounded in who we are, that means how we were conceived has no bearing on our worth. In other words, amongst a group of four humans, if one is conceived as a result of love, another from lust, a third via violence, and a fourth brought about through technology, while these “means” are not all equal, the “end,” each resulting human being, is. 4) Parents are entrusted to meet their children’s needs and protect them from harm until they are independent adults capable of caring for themselves. 5) Humans are subjects, not objects; this means humans are not commodities and may not be owned, bought, or sold. 6) We can understand how something should be by considering its designs (or nature) and then look at that through the lens of a moral framework of how one ought to live. IVF endangers and disrespects the lives of pre-born humans. According to Pacific Fertility Center, “Embryo freezing is a very routine part of the IVF process and approximately 60% of patients end up with some embryos in storage.” According to Dr. Sonya Kashyap, medical director of Genesis Fertility Centre and a clinical assistant professor at UBC, “80 to 90 per cent of embryos survive the thawing process.” IVF has resulted in more embryos being created than are implanted in their moms. As a result, it’s been estimated that the United States has 1 million human beings in freezers. And in the United Kingdom, a report came out revealing that 1.7 million embryos were destroyed in attempts to create other embryos via IVF. a) It intentionally creates and then kills some humans. b) Even when pursuing the option of freezing rather than immediate killing, thawing endangers the lives of some embryos: 10-20% of them will be killed by that process. Is it fair to endanger the lives of some children in an effort to create other children? c) Even if all conceived children are implanted in the same cycle, what risks are being brought to these children’s lives? Consider a testimony here: One couple went through three cycles in which they implanted 6 children each time, for a total of 18 offspring. In the end, however, they only birthed two of the 18. Had all 6 children progressed through pregnancy each time, that type of “multiples” pregnancy would have been a serious risk to the lives of those children, let alone the life of their mother. Moreover, in such a situation, a “selective reduction” abortion is typically suggested where a doctor will kill several children in-utero to increase the odds of one or two developing safely to term. I am not going to mince words here: Destroying humans from IVF, whether embryos in the lab or later in the womb when they have matured to the fetal stage, should be classified as intentional homicide. It should be labelled as first degree murder. Is that a bold statement? It is, but can the following reasoning be refuted? Destroying the youngest and most innocent among us in these cases is both intentional and premeditated. One fertility website describes “selective reduction” as “a relatively safe procedure.” But safe for who? It certainly is not safe for the pre-born children targeted amongst their siblings where they will be victims of “the injection of a lethal chemical…directly into the heart chambers” [emphasis added]. Note the use of the term lethal. The dictionary defines it as “of, relating to, or causing death” and “capable of causing death.” But to cause death is to imply that prior to the death there was life. Or consider the language of the Human Fertilisation and Embryology Authority in the United Kingdom. Regarding unused or leftover embryos it writes, “Some people prefer to discard their embryos. Embryos that are no longer needed are simply removed from the freezer and allowed to perish naturally in warmer temperatures or water” [emphasis added]. The dictionary defines perish as “to become destroyed or ruined: cease to exist.” If we are making someone cease to exist, that means they did exist. And so, the snuffing out of living, existing, entirely defenseless human babies who happen to be smaller and less developed than newborn ones is an entirely barbaric act.